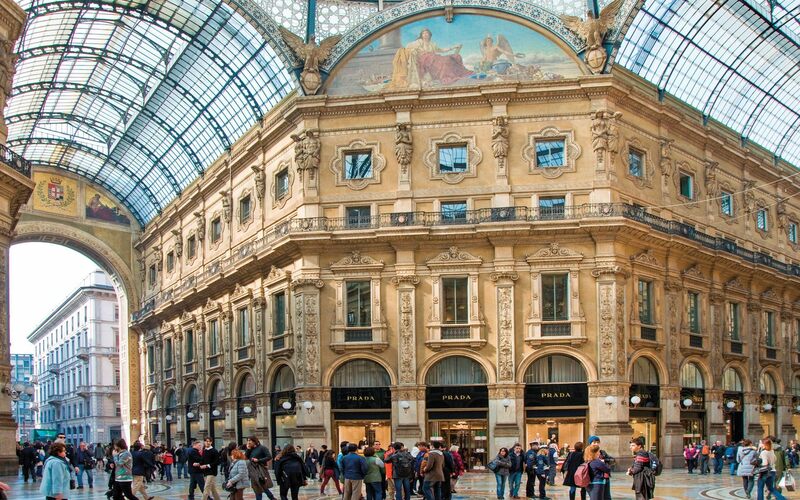 Milan’s oldest shopping center, Galleria Vittorio Emanuele II. Fashion and art have long collided on the cobblestone streets of Milan. Everyday life is a stylish feast, but it’s during the spring, when the design and art worlds descend for Salone del Mobile (April 9–14)—the not-to-miss furniture fair that debuts the next wave of trends—that the city truly comes alive. Brands from Louis Vuitton and Hermès to COS and Swarovski stage spectacular installations, often tapping top artists to bring their creative visions to life. 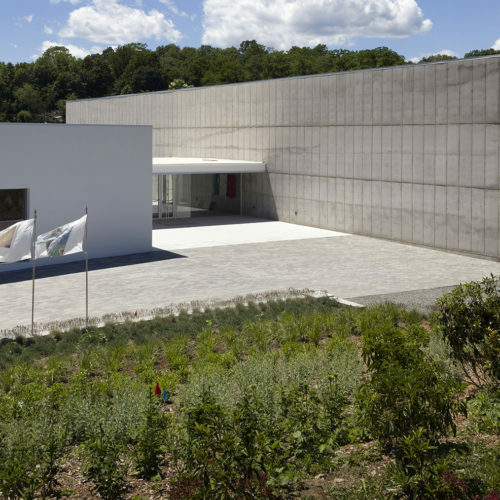 It’s not unheard of to run into design luminaries such as John Pawson and Renzo Piano as well as fashion locals Giorgio Armani and Miuccia Prada taking it all in. After all, this is the city that boasts masterpieces old and new—from Leonardo da Vinci’s iconic The Last Supper to Anselm Kiefer’s monumental The Seven Heavenly Palaces. But that’s just the beginning—there’s so much more to explore between aperitivo in the Brera District and Negroni Sbagliatos at Bar Basso. Dan Flavin is a quintessentially American artist, but his final work is located in Milan, at the Chiesa Santa Maria Annunciata. 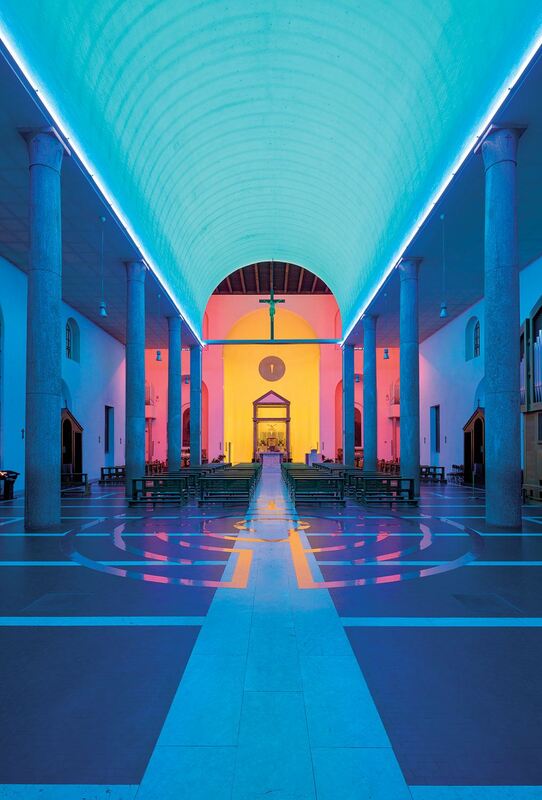 The groundbreaking minimalist installed his signature fluorescent light tubes within the Romanesque-revival church in the mid-1990s, bathing its interior in his soft blues, pinks, and yellows. 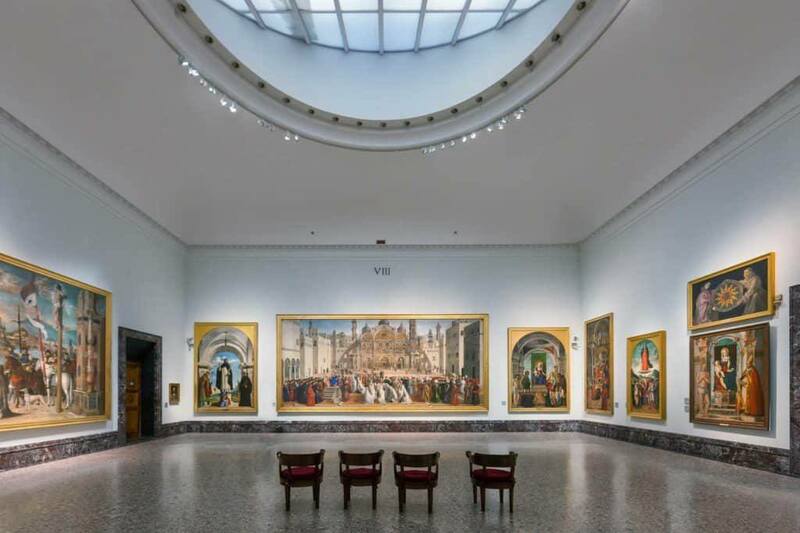 Art lovers must make a stop at the Pinacoteca di Brera, the major public gallery for painting in Milan. 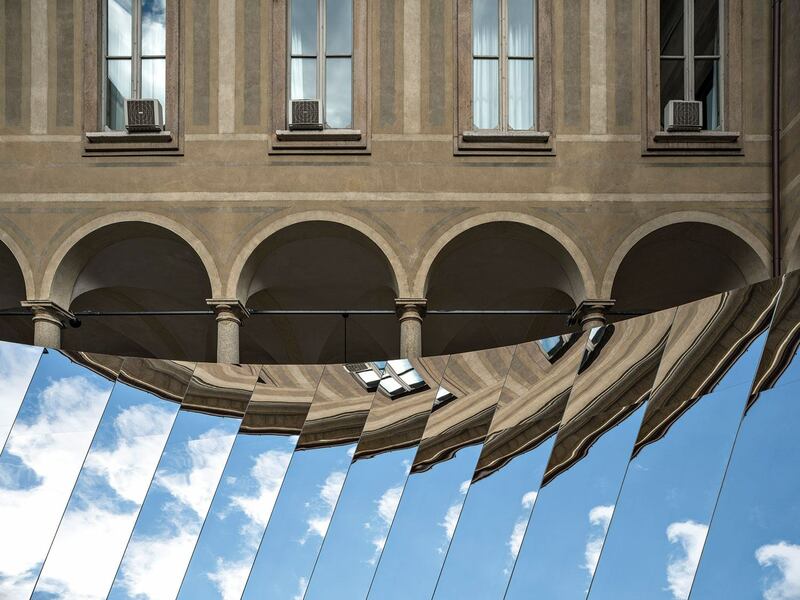 It shares the monumental 18th-century Palazzo Brera with the Accademia di Brera, a public fine arts academy, and a handful of other cultural institutions, including a botanical garden and astronomical observatory. The museum is home to an impressive assortment of masterpieces, including Mantegna’s Lamentation of Christ (circa 1483). Also on view is Rubens’s Last Supper (circa 1631–32), an interesting counterpoint to Da Vinci’s more famous treatment of the same subject, which is just a taxi ride away at the Chiesa di Santa Maria delle Grazie. After taking in the Pinacoteca’s extraordinary collection, stop for lunch at the original 10 Corso Como, an exquisite garden-front café and bar combined with an art space and a shop, before heading over to the Gucci Art Wall, an urban canvas for leading street artists. When you enter the grounds of Villa Necchi, it’s hard to believe you’re still in the city. 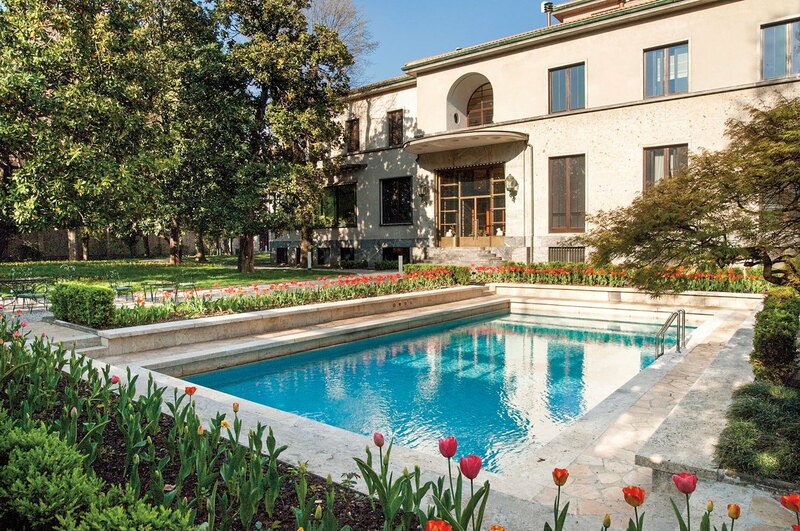 A walled estate with gardens, a tennis court, and even a swimming pool, Villa Necchi, designed in the 1930s by Piero Portaluppi, is perhaps the most serene locale in Milan. The house museum, which was used as the setting for the 2009 movie I Am Love, is renowned for its impeccable architecture and furnishings—alongside masterpieces by Giorgio de Chirico and Giorgio Morandi—which reflect the refined take on modernism that defined Milanese design during the interwar period. There really is no better place to go to feel inspired by architecture and design down to the smallest detail, like the family’s custom Richard Ginori china. While the garden and café are open to the public, the house can be viewed only on a prebooked tour. 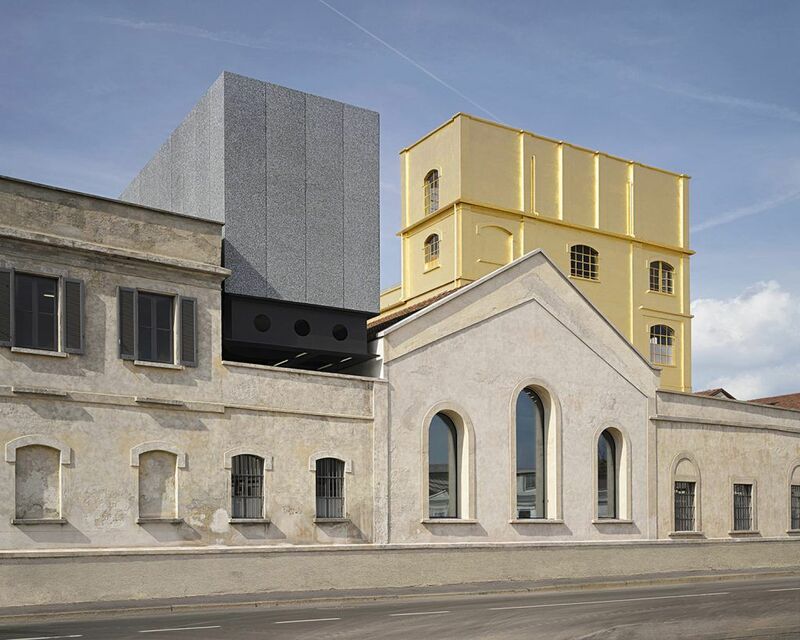 Rem Koolhaas’s architecture firm, OMA, transformed a former distillery into the Fondazione Prada, a nonprofit arts and cultural center devoted to the spirit of dialogue and experimentation. Among the memorable buildings in the complex is the Haunted House, which is clad in 24K-gold leaf and displays works by Robert Gober and Louise Bourgeois. The foundation’s most recent addition is Torre, a nine-story white geometric tower that houses noteworthy installations and currently hosts the group exhibition “Atlas.” It also features a restaurant and rooftop terrace bar with panoramic views of the city. This beautiful spot, called simply Restaurant Torre, is a perfect pick for a Sunday night, when most of Milan’s other top restaurants are closed. There’s also Bar Luce, an on-site café designed by filmmaker Wes Anderson that captures the spirit of midcentury Milanese design. 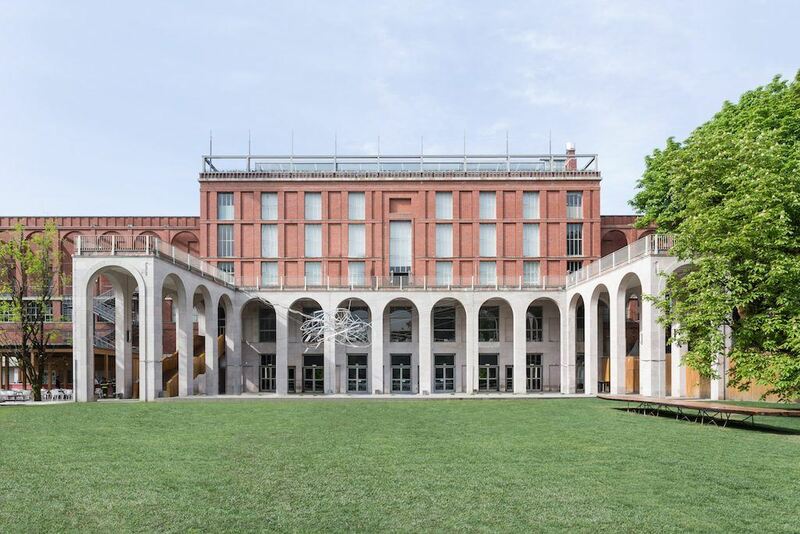 The city’s main museum dedicated to design is the Triennale di Milano, in the tranquil Parco Sempione, not far from Castello Sforzesco. Designed by architect Giovanni Muzio in the early 1930s, it was built to house Milan’s Triennale exhibition (which this year overlaps with Salone). 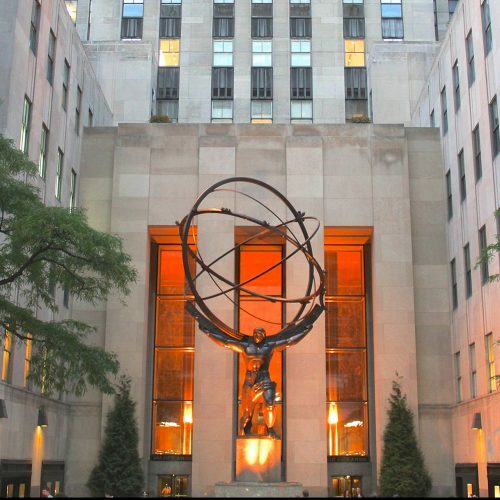 The 2019 theme is “Broken Nature: Design Takes on Human Survival” and will showcase designers working to build a future that is more equitable and sustainable. Once a Pirelli locomotive factory, the complex was updated into one of Europe’s most important venues for contemporary art with about 160,000 square feet of exhibition space. 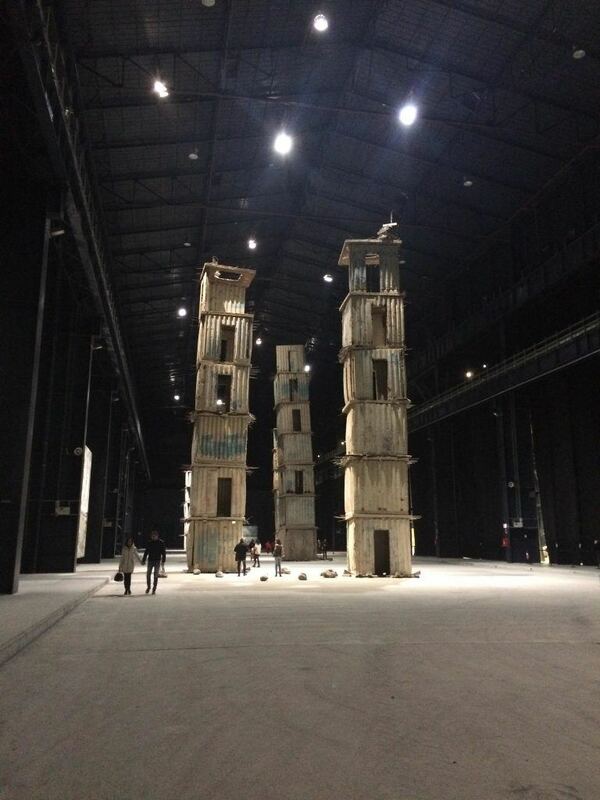 The Pirelli HangarBicocca still retains a stark industrial aura, which is complemented by Anselm Kiefer’s monumental sculptural installation The Seven Heavenly Palaces (2004). 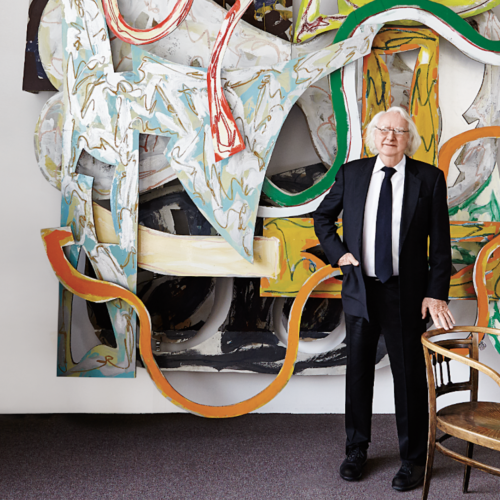 This spring, the institution will mount an important show by Italian artist Giorgio Andreotta Calò, focusing on his site-responsive sculptural practice, as well as Indian contemporary artist Sheela Gowda’s first solo show in Italy. A version of this article first appeared in print in our 2019 Spring Issue under the headline La Dolce Vita. Subscribe to the magazine.